The RP Diet App was designed by nutritional experts and data scientists to do one thing and one thing only: GET YOU RESULTS! This app is NOT A TRACKER. You don't type in the foods or macros you eat. 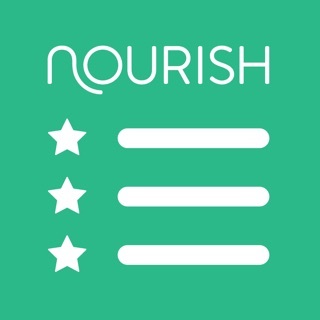 This app is a DIET DESIGNER and COACH. It tells you what to eat, not the other way around! There are tons of tracker apps out there, and many of them are very good. But this is one of the only diet coaching apps. If you're frustrated with your diet and just want a clear but flexible plan to follow, this is the app for you. The RP Diet App takes the uncertainty out of your hands and guides you every step of the way to your fitness goals. You log in and tell the app about yourself, including your current schedule. You also tell the app about your next goal. You can choose to lose fat, gain muscle, or maintain an athletic physique at peak performance. Based on the goal you choose, the app designs a custom diet that fits your schedule, but it doesn't choose your foods. For each meal, YOU get to choose the foods you eat from a long (and growing) list of healthy options, and the app automatically tells you how much of these foods to eat so that you're on track to meet the goal you set. The app will remind you when it's time to eat your meals and when it's time to step on the scale to track your progress. By inputting your weight just a few times a week, the app will automatically adjust your diet every week to keep you on track. What does this mean? It means that you don't have to fret or worry about your diet anymore. You just have to choose your favorite healthy foods, eat when the app reminds you, and watch your body transform. When you have serious goals, don't leave them to chance. Leave them to science. While the app accommodates countless ways of eating, it's not yet currently configured to support vegan diets or the schedules of night shift workers. Both updates are coming VERY soon, and the vegan diet option is already well underway in development and promises to be very, very powerful and easy to use. We're always working to make the app better, so stay tuned! Both options will give you full, unlimited access to all features, including meal planning, shopping list, and reminders for a 2 week trial, after which you will be charged the full subscription price of the tier to which you subscribed. These prices apply to United States residents. Prices may vary in other countries respecting your local currency exchange rate. Your subscription will be charged to your iTunes account. At the end of the term, unless auto-renewable subscriptions are disabled, your subscription will automatically renew in your iTunes account. You will be charged for the regular price of your subscription within 24 hours prior to the end of the current term. You can turn off automatic renewal in your iTunes account settings at any time, but you must do so at least 24 hours before the end of the current term. Refunds will not be provided for the unused portion of any term. • Fixes crashes when resuming old stale diets. • Adds messaging when switching from a recurring subscription to an access pass. • Fixes a handful of rare crashes. Love the app? Please leave us a review! To gaining to wait for it to readjust . Very frustrating. Anyway to fix? Update... I want to love this because it is easy... however, it’s not practical. Besides not having ways to incorporate different carbs or 2 different proteins in a meal I can figure out my own macros with a little focus . But the app will cut your carbs on a dime. I messed around with different weight los options like a greater amount of weight in a few months and then only 5 pounds over a few months. If I gained pound my carbs were slashed. I couldn’t realistically keep up with that. 60g carbs on a mod workout day. I was rationing workouts for carbs and then would end up binging somewhere during the week. I’ve done the templates with success so I will go back to that. No one has a post workout shake with a half a scoop of protein. Hello gmfrn4u. I'm so sorry that the app isn't working properly for you. Please send me an email at andrew@renaissanceperiodization.com with the email address you used to create an account in the app, and I will do my best to resolve the issues for you and get you back on track! Despite what you might be led to believe, there are no quick fixes and shortcuts to losing weight or undergoing a transformation. It requires a sound nutrition plan and a will to put in the effort. The folks at Renaissance Periodization (RP) have done the nutrition planning for you. They’ve developed plans based on findings from scientific research to help you reach your goals. They’ve provided that guidance previously in the form of spreadsheets, but this app is the next step forward. The app helps guide you along the way, reminding you when to eat, and adjusts your meals (protein, fat, and carbs) based on your weight. All you need to do is follow along and do the work. As with any app, there are some issues. The app will let you choose foods and it will provide weights that match your needed macros. Right now, you can only choose one food per macro (i.e. eggs or turkey sausage for a breakfast protein but not both). I believe RP is working on fixing that right now. There is less info available on their diet with the app than came with their spreadsheets. They have a Facebook group that provides a lot of guidance and tips, and their new RP Diet 2.0 ebook provides a lot of the why behind the program. I can’t recommend it enough. I’ve struggled for years to find an ideal way to control weight gain and feel good about what I eat. That search has ended with RP. Now I just need to go do the work. The app is pretty cool from a beginner’s perspective, but can become quite annoying with meal reminders and the set up of meal timing. Would be nice to see a “window” of time to get a meal in, because as I’ve seen many beginners using it, they are becoming frustrated at the fact they can’t get their meals when the app says. Or they would like to not eat before working out. (Yes it’s a good idea to do so, but they’re changing enough already, let’s try adding that in later.) In that case they can trick the app into having meals later by setting their wake up time later. After becoming familiar with the RP templates and being very familiar with counting macros, it’s not something I would pay for, however I love that it offers a “cooked” measurement option. I prefer to actually learn how and why I’m doing something rather than being told, “eat x at y time”. I understand lots of people do want that, but if you would rather learn the WHY, get the templates and read all materials!